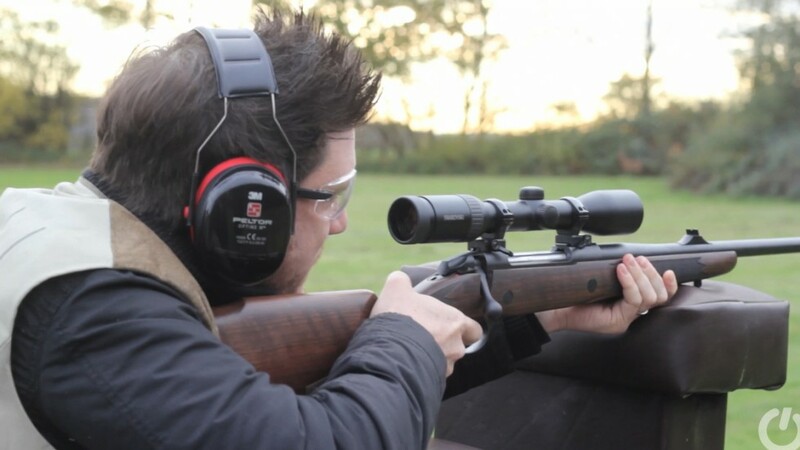 If you don’t want to finish up like me after decades of shooting – with some hearing loss – then it’s wise to put some effort into protecting your hearing before it’s too late. Hearing loss quietly creeps up on you without you being aware it’s happening until its too late. An old Scots doctor I was attending called it “The birds revenge”. So quality hearing protection is a basic for range shooting. Out hunting of course we are normally at the mercy of the rifle blast. 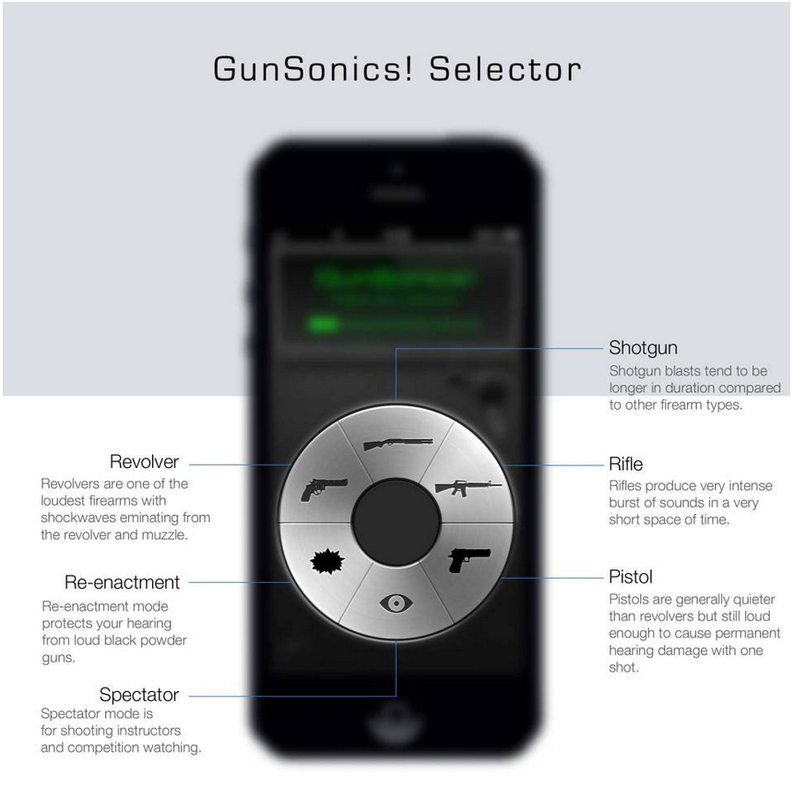 The GunSonics iPhone app provides a range of settings to optimize its performance. However it protects regardless of the setting used. (Image courtesy GunSonics). Whilst wearing hearing protection it is normally difficult to hear what people are saying and it is good to be able to understand the range officer clearly. Enter GunSonics and their iPhone app. To use the GunSonics iPhone app you connect your iPhone ear buds to your iPhone, insert them into your ears, and then put a good set of ear defenders over the top. The app has six optimal settings and although we suspect the authors may not have considered pistols such as the Desert Eagle or Wildey in their descriptions common sense makes it clear what optimal settings to use. That being said the GunSonics app will protect regardless of what setting the user uses. There is a nice short review by Pocket-lint on their YouTube channel which you can see below. This review is done on a visit to the Holland and Holland shooting grounds just outside London where the reviewers try out the GunSonics app with the resounding boom of a 375 Holland and Holland Magnum, and thus exhibit exquisite good taste. So this is an iPhone app that depends on your ear defenders, but picks up and enables you to hear normal level sounds, however, when a gun-shot occurs it acts with extremely quick latency to shut out the noise of the gun-shot. GunSonic claim that their system is faster, safer and a lot cheaper than expensive electronic ear defenders. You can find the GunSonics app on the Apple iTunes app store. Price is USD$9.99.